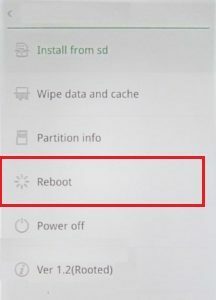 Here are the best methods to reset your Realme 2 Pro mobile. 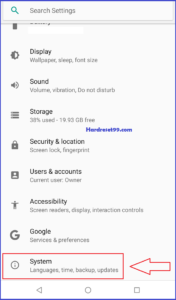 You can speed up your mobile after Hard Reset. Reset deletes all your mobile data like photos, apps, and Contacts etc. So before resetting backup all your mobile data. 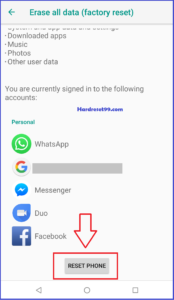 You can unlock your Realme 2 Pro mobile without password with this method. Switch off your Realme 2 Pro Mobile, By holding the Power button. Release both Buttons when you see the Realme Logo. 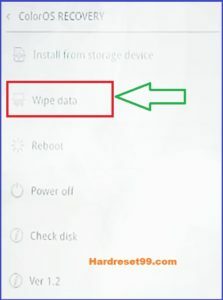 Select option Wipe data, using Volume Down, and Power button to confirm the operation. After that, Select the option YES. 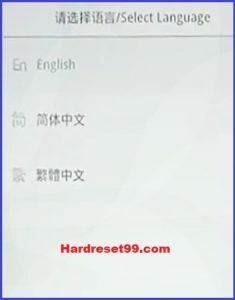 Hard reset is done on your Realme 2 Pro mobile. Switch On your Realme 2 Pro mobile, By holding the Power button. After that, choose System option. Then Choose option Erase all data [Factory data reset]. 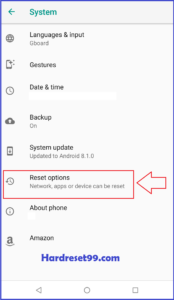 Finally, Select Reset Phone option. Success, Realme 2 Pro Factory Reset Done.